The HCUK Women in Digital Group is pleased to invite you to a reception with Iris Bohnet, a Professor of Public Policy at Harvard's John F. Kennedy School of Government. Professor Bohnet will be discussing how to achieve gender equality in your organisation. Bohnet will explain the unconscious biases that hold back acceptance of gender equality, and demonstrate how it is easier, and cheaper, to enact small changes that de-bias the structure of your whole organisation rather than the individuals within it. Presenting research-based solutions, Professor Bohnet will hand us the tools we need to move the needle in classrooms and boardrooms, in hiring and promotion, benefiting businesses, governments, and the lives of millions. We highly recommend booking early to hear one of the world’s thought-leaders in the achievement of gender equality in the workplace. Please purchase tickets via the Eventbrite website in the link below. Enter discount code HARVARD for a 15% discount. Please register for the reception via the link below. 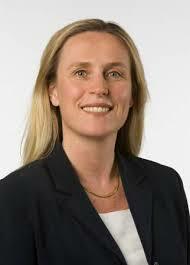 Iris Bohnet is a Professor of Public Policy at Harvard's John F. Kennedy School of Government. She is the faculty chair of the Women and Public Policy Program at the Kennedy School, a vice-chair of the Program on Negotiation at Harvard Law School, and a faculty associate at the Center for Business and Government, the Center for Public Leadership, the Dubai Initiative, and the Institute for Quantitative Social Science, Harvard University.